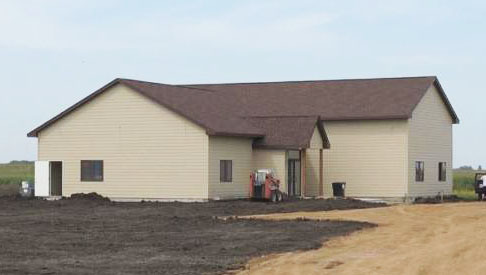 Grand opening of Hindu Temple of Siouxland (HTOS), earlier scheduled to open on August 26, was delayed due to waterlogging caused by unexpected rain. Cost estimates for the two phases of the temple are listed as $585,000. Bhoomi Pooja of the temple site was held in 2016. Ancient Hindu rituals to be performed at this Hindu Temple Opening Ceremony (Prana Pratishtha) and murti sthapana include sacred pitcher worship, consecration of deities, ceremony of fire and lights, flowers offering, liturgical dance, bhajans, etc. These rituals are believed to “endow the temple deities with divine power and bless the community in which they reside”. All are invited to the opening celebrations which will be followed by community lunch. “Mission and Objectives” of HTOS in southwest of Sioux Falls include: “Practice ideals of Hinduism through worship, education, and community involvement”. It is seeking donations and plans to celebrate “Festival of Lights” on November three. Archana Chatterjee and Muthukumarappan are Trustees Chair and Vice Chair, while Ramesh Singh and Kalyan Boinapalli are President and Vice President respectively.